An Exclusive Interview With Phillipe Karsenty A nice recap of the Mohammed Al Dura case. Closing arguments have been presented and we should know soon what value the truth has in France. The Curse Of The Moderates CAROLINE GLICK , The Jerusalem Post's ace columnist has a superb piece on the current situation in Pakistan. Fast Forward To 2009 Victor Davis Hansen looks at the post-Bush world. Will the State Department Side with American Terror Victims or Yasser Arafat? - Andrew C. McCarthy on a story I covered here, the possible intervention by the US State Department to set aside US court judgements awarded to victims of Palestinian terrorists. Guns, Butter and the War - Jed Babbin examines the false arguments put forth by the Left on Iraq.. The Enduring Power of Ethnic Nationalism - Dr. Jerry Muller writes a valuable piece rich in background on the subject in Foreign Affairs. Why Don't Jews Like Christians Who Like Them? And interesting question indeed, asked by Dr. James Q.Wilson, a celebrated professor at Harvard and Pepperdine, a recipient of the Presidential Medal of Freedom and a prominent evangelical. 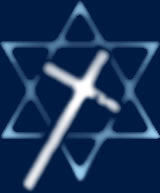 In the United States, the two groups that most ardently support Israel are Jews and evangelical and fundamentalist Christians. Jewish support is easy to explain, but why should certain Christians, most of them politically quite conservative, be so devoted to Israel? There is a second puzzle: despite their support for a Jewish state, evangelical and fundamentalist Christians are disliked by many Jews. And a third: a large fraction of African-Americans are hostile to Israel and critical of Jews, yet Jewish voters regard blacks as their natural allies. I can sympathize with Dr. Wilson's puzzlement in his excellent and mostly accurate piece. Here's the missing part of the puzzle. For centuries, Jews were demonized and locked in ghettos in Europe (literally - the gates were often chained and guarded after dark). That ended with Napoleon, and as Jews for the first time experienced civil rights, a number of them decided that the best way to be `real Frenchmen' et al was to throw away their ancient culture and become totally secular. Many of them found out what a fallacy this was around the time of the Dreyfus case and the Chelminitsky Pogroms, but by then it was too late. Some went back to traditional practice of their religion, especially in Eastern Europe. Many emigrated to places like the United States, Australia and South Africa. Others took the Dreyfuss case and similar incidents as a clear sign that Jewish assimilation in Europe was a lost cause, among them a totally secular Jewish journalist from Vienna by the name of Theodore Herzl, who witnessed the French mobs in Paris howling 'Death to the Jews' during the Dreyfuss case, concluded that the Jew, the Eternal Stranger could only have self-determination in his own country and helped form the Zionist movement. A third group, having already given all or most of their Jewishness in favor of assimilating ended up migrating to the Left, which promised an end to ALL religion - and thus would remove the stigma of being Jewish. They could, in a sense finally be 'normal' again in that milieu. Prejudice over centuries can easily warp human beings into self-hatred. This can result in some strange twists in the human psyche. While Jews were never treated with the kind of genocidal hatred here in America that they experienced in Europe, many of the Jews here in America who emigrated went through the same process, coming from the shtetls of Eastern Europe and experiencing normal life for the first time. There was never the equivalent of a Dreyfuss case here in America, but there was enough classical anti-Semitism in the 1920's, `30's and `40's to make a substantial number of Jews identify with the Left, a process that was accelerated by Soviet penetration into various areas of American life. On the extreme end of that scale, many of the so-called Red Diaper Babies were Jews born into devoutly Leftwing and communist families who went on to indoctrinate their own children in 'the faith.' David Horowitz's book `Radical Son' is a superb examination of how this worked. There's a spectrum here, of course, but many of the anti-Christian Jews Dr. Wilson is talking about remain ethnically Jewish, but are almost entirely divorced from their religion and have embraced a new one - leftwing politics. As the Left has distanced itself from Israel, so have many of these Jews. And why not? Israel is no longer really part of their religion any longer. They are merely conforming with the tenets of their new faith as part of a broader anti-Americanism, although many of them would never admit to it as such. To get an understanding of how this works, imagine if Israel, instead of allying itself with the US had proceeded even further along the secular socialist path and allied itself with Russia. Were that the case, I guarantee you that the Left would have embraced Israel from the beginning, the dinosaur media would now be totally supportive of Israel and would not be running the pro-Arab garbage it does now, and Israel would be as celebrated in Hollywood as Cuba. Given a choice between supporting Israel and supporting the Leftist agenda, it's no contest for these people. Other Jews whom identify with the Left but still consider Israel important temporize and rationalize. They ignore the anti-Israel part of the Left's agenda so they can embrace the broader part of the agenda, especially if a Leftist politician is savvy enough to give them a few general statements or gestures that could be taken as pro-Israel. Or they co-opt it, embracing chimeras like Oslo even when their common sense revolts at the reality of what that means. To many of these Jews, Christians are part of the Evil Right. They might even be *gasp! * Republicans and therefore must be shunned and vilified, no matter how philo-semitic they may be. Believe it or not this attitude doesn't merely extend to Christians but to religiously observant Jews and Jews with conservative political views as well . Screwy, I admit, but there it is. Dr. Wilson and those like him will wait a very long time if they expect a significant amount of reciprocity from Jews on the Left for their support of Israel. They may take comfort in the satisfaction of doing the right thing and in the words of the prophet Isaiah and the Gospels. Righteousness still has some meaning, after all. On the other hand, the situation may actually be improving. When one looks at the demographics, the Jewish population in the US has actually increased, and it is increasing in an interesting direction. While many secular leftist Jews are mostly having few children and intermarrying, religious Jewry has had something of a renaissance. It's the Orthodox and observant Jews who are expanding synagogues, funding Jewish day schools and most of all, having the kids. And as Dr. Wilson has no doubt observed personally, most of those Jews by no means shun Christians, but welcome them as people of faith and allies. I would expect this trend to continue and even to accelerate, given the common threat both Jews and Christians face. This week's winner was In A PC Nation, How Will The GOP Run? by Cheat Seeking Missiles, Laer's fine piece on the conundrum within the GOP to run an effective campaign without appearing racist or sexist. In second place we had a tie with Find the Adjectives by Soccer Dad, an excellent deconstruction of media bias in what is billed as 'straight news'. And Obama (with links) & McCain's Petard by Wolf Howling, GW's incisive piece on the controversy concerning a pledge taken by both Obama and John McCain to stay within public finance limits earlier in their campaigns and how Barack Obama is using his senatorial privilege in an attempt to bankrupt McCain's campaign. In the non-Council category the winner was To Die in Jerusalem, Part II by My Shrapnel, a superb slap down of a leftist film maker's moral equivalency. 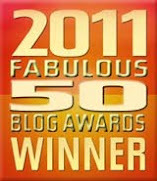 In second place was The Fierce Urgency of Lies by American Thinker, an examination of ObamaMania. 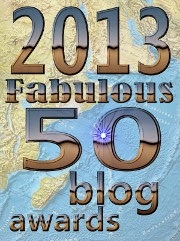 Hearty congratulations not only to the winners, but to the rest of the entrants. This is getting monotonous. Here's Obama at the Democrat debate February 26th, answering a Tim Russert "hypothetical" question: Since both Democrats want to mandate a US retreat and pull our troops out of Iraq, would they re-invade Iraq if al-Qaeda had a resurgence? Obama responds that "if Al Qaeda is forming a base in Iraq then we will have to act in a way that secures the American homeland and our interests abroad". I wonder whom Obama thinks we're fighting in Iraq if not al-Qaeda? "I have some news. Al-Qaeda is in Iraq. It's called `al-Qaeda in Iraq,'" McCain said, drawing laughter at Obama's expense. 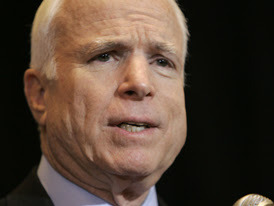 "And my friends, if we left, they (al-Qaeda) wouldn't be establishing a base," McCain said Wednesday. "They'd be taking a country, and I'm not going to allow that to happen, my friends. I will not surrender. I will not surrender to al-Qaeda." Aside from the fact that Obama has no idea what he's talking about (there were plenty of instances of al-Qaeda fighters, commanders and sympathizers like Zarqawi and Imad Mugniyeh roaming freely in Iraq, contact between al-Qaeda and Saddam's regime and even a terrorist training camp with a mock-up of a 747 in Sal Pak near Baghdad) the fact is that Osama bin-Laden and Ayman Zawahiri made no bones about the fact that Iraq was their central front in their war against the US. If I were John McCain, I would have jumped on that like a pitbull on a chihuahua.As you know, I have my own questions about the rationale for us going into Iraq, but we're there now, and Obama is clueless about the implications of a US defeat there. Yeah,Senator Obama, the way to defeat al-Qaeda is to retreat from them and let them regroup and re-arm and re-establish themselves in Iraq! Then we can go back in and start from scratch...that'll do it! Does Anyone At The New York Times Fact Check? "Mr. McCain’s likely nomination as the Republican candidate for president and the happenstance of his birth in the Panama Canal Zone in 1936 are reviving a musty debate that has surfaced periodically since the founders first set quill to parchment and declared that only a “natural-born citizen” can hold the nation’s highest office. No precedent? How about these gentlemen? Every one of them was born a British subject in the colonies! All that aside, is anyone really going to tell serving officers of the United States that if they take an overseas posting they can forget about any children born on the base hospitals ever aspiring to the presidency? I don't think so! You have to really wonder at the New York Times' desperately grasping at straws like these. The non-partisan ( but left skewed) Pew Research Foundation released a fascinating study through their Forum on Religion & Public Life that made the news recently. While the study drew a number of conclusions on where religious life is going in America, one of the little things that interested me was a survey Pew did on religious affiliations. According to Pew, the percentage of Muslims in America is on 0.6%...about 1.8 million people. This is consistent with the 2.37 million that Pew's 2007 survey on American Muslims put the total number at. And part of the discrepancy in the two figures could come from whether one counts the members of the Nation of Islam. That's a pretty far cry from what we've been hearing from CAIR, the MPAC and ISNA, who've been quoting figures of 7 to 8 million. Let's split the difference and say it's 2 million, give or take. When one looks at the hue and cry over 'Islamophobia' from various sources, obviously there are too few Muslims in most of the US to spark all this supposed discrimination. And CAIR is obviously not representing the major political constituency it claims to. So this is obviously being manufactured on some level. Ask yourself why and examine the little fact that the Saudis and the UAE are paying most of the bills for this lobbying, hiring ex-US politicans by the barrelful and investing in US corporations, media and academia and a pattern begins to reveal itself. Arafat II 'Moderate' Mahmoud Abbas made some fairly revealing and outrageous statements today..which of course, the dinosaur media is ignoring. "At this present juncture, I am opposed to armed struggle because we cannot succeed in it, but maybe in the future things will be different," he said. Like,maybe after Bush and Condi Rice pressure the Israelis into giving you all of Judea and Samaria and half of Jerusalem, and Israel is inundated with Arab 'refugees'? "It is common knowledge when and how resistance is detrimental and when it is well timed," he added. "We (Fatah) had the honor of leading the resistance and we taught resistance to everyone, including Hezbollah, who trained in our military camps." But wait, there's more...Abbas also did a nice job of biting the hand that feeds him. 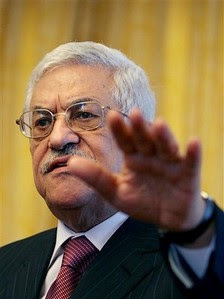 Abbas said that if the Bush Administration didn't succeed in making the Israelis knuckle under before the end of 2008, "then there will never be any future chances to achieve this goal." Abbas also criticized the Bush Administration for not pressuring Israel to his satisfaction, saying that the US "must understand it is to play an active role, not just as a supervisor, by intervening directly to help make peace." Or in other words,now Abbas is not only cheerfully taking US money but dictating to the Bush Administration that they had better hurry up and deliver Israel - or else. To finish up, Abbas added an unintentionally funny bit, except he was dead serious; he criticized Israel and demanded that they "stop escalating the situation in the Palestinian territories and stop all attacks in the Gaza Strip, including firing missiles there." Is Arafat II Mahmoud Abbas the epitome of gall, or what? This is beyond ludicrous...except that just like Yasir Arafat, Abbas is giving us a clear picture of exactly whom he really is and what he has planned for the future. 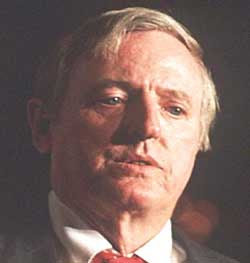 I just saw the news that Wiliam F. Buckley, one of the pre-eminent philosphers, writers and thinkers in American political life just died at the age of 82. Among his other accomplishments, he was almost solely responsible for initiating kicking anti-Semites and racists out of the mainstream conservative movement, created the National Review, wrote a number of bestsellers and conducted himself with an erudation, style and moral sensibility rare among men.And he did it,always, with an impish sense of humor I truly enjoyed, even when I occasionally disagreed with him and found him just a tad too full of himself for comfort. But then, Bill Buckley had the intellectual firepower to get away with that sort of thing, leaving most of his philosophical opponents blinking and wondering just what had hit them. He was a true foe of totalitarian barbarism, a proponent of freedom and a voice for sanity throughout his life, and spread a not inconsiderable amount of light in the process. So long, Mr. Buckley. You'll be missed. 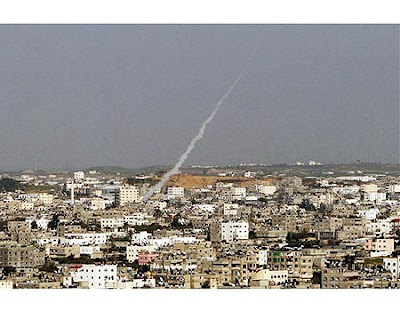 The Palestinians launched another major rocket barrage from Gaza today, hitting locations in Sderot and Ashkelon. Yesterday, two children were badly wounded as the rockets hit a playground. Today, Roni Yechiyeh,(z"l) a father of four was killed and two others wounded by shrapnel after one of the Kassam rockets fired from the Gaza Strip hit the grounds of Sapir Collegein the western Negev. Another rocket in the same barrage destroyed a home in Sderot. Several rockets also landed in the city of Ashkelon, with one rocket landing near the Barzilai hospital's helicopter pad and another man sustaining shrapnel wounds from a rocket that landed in a residential street in the city.Power was out in several parts of Ashkelon, probably because one of the rockets took out a power line. The above photo, from the Associated press is quite interesting, as it shows rockets being launched from within Gaza City, which means that their range and their destructive power are improving as time goes on. Yet the Olmert-Livni-Barak troika is still keeping the IDF on a tight leash, allowing them to take out the odd launch site or incinerate a Hamas fighter here and there,rather than actually dealing with the problem at the source. Olmert, who's on a diplomatic junket in Japan said:"There is an ongoing war going on in the south. We regret that it once again cost human life." Of course, if it's a war, why not allow the IDF to fight and win it? An interesting question, to be sure and one not likely to receive much of an answer from the likes of Olmert.Certainly no other nation would permit these kind of attacks to continue. When will the Israeli people rise up and demand a government that will defend its people? Only time will tell. 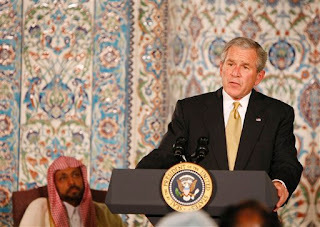 Eight months ago,in the midst of trying to shove amnesty for illegal aliens down America's collective throat,President Bush took some time off to participate in ceremonies honoring a Saudi funded wahabist outpost within spitting distance of the White House, the Islamic Center of Washington D.C. While he was there, the president made an extraordinary promise to appoint a US envoy to one of the world’s most bigoted groups, the Organization of the Islamic Conference "to listen and to learn from them" in the words of the current occupant of the White House. President Bush has finally named an official envoy, a Texas businessman named Sada Cumber whom I believe is Pakistani in origin (degrees from the University of Karachi). He's in the high tech industry, the CEO of SozoTek, a wireless imaging company. Mr. Cumber aside,the implications of the US naming such an envoy are astounding. 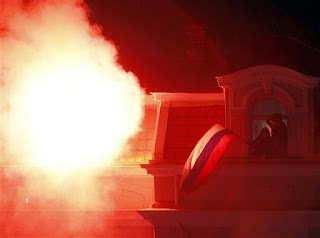 The conference is the place where Malaysian Prime Minister Mahathir Mohammed received a standing ovation for a keynote speech delivered on October 16th, 2003 that was nothing less than a declaration of jihad against the west. In it he declared that `Jews run the world' and essentially said in so many words that the destruction of Israel was a goal towards a larger pan-Islamic caliphate, and that essentially, the US and Europe will only accept Islam as their master after their current masters, the Jews, are destroyed. In 2004, just after the massacre of children at Beslan, the OIC famously defined Islamic terrorism as `legitimate resistance' and refused to cooperate with the UN in condemning it. In 2005, the OIC called for universal application of sharia and demanded a permanent seat on the UN Security Council. Also in 2005, Iranian president Ahmadinejad got a standing ovation speaking at the OIC in Mecca, denying that the Holocaust occurred, calling Israel a `tumor' and demanding that the world 'move the Jews to Germany'. And in 2006 Ahmadinejad called for “the elimination of the Zionist regime,” and recieved widespread applause in a speech at the OIC that year. Needless to say, the OIC failed to condemn this is the least. 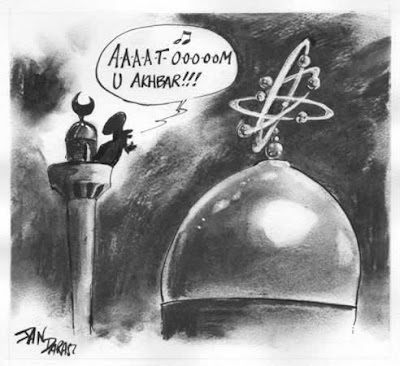 In 2006, during the Danish cartoon seethefest, the OIC passed a resolution demanding that the UN pass a resolution bannning `attacks on religion' ( read `Islam) with sanctions for violators. This same organization, the OIC has an office, the Islamic Office for the Boycott of Israel, entirely devoted to enforcing a boycott contrary to US law. And they recentlypassed a resolution condemning Islamophobia and `insults to Islam' as `worst form of terrorism’. And they have never unequivocally condemned the terrorism that occurred here in America on 9/11, in Britain, in Madrid or indeed, anywhere else. The OIC, as one of the largest voting blocs in the UN has repeatedly obstructed any actions against Sudan for the genocide in Darfur. The OIC consistently supports Hamas, and Hezbollah, groups identified as terrorist organizations under US law. This is the racist, anti-American group our president legitimized and is now sending an official US envoy `to listen and to learn'. When asked why it took so long for the president to name an envoy, White House spokesmouth spokeswoman Dana Perino told reporters:"He wanted to find the right person and he found that in Sada Cumber." Incidentally, in his own way President Bush is giving weight to the idea of a global caliphate, something I'm sure he didn't intend. Spokesmouth Dana Perino, in a statement for the press no doubt vetted by the White House referred to Cumber as our `envoy to the Muslim world' and to the OIC as "an important organization" with "a constructive role to play in the world." So we apparently are now dealing with the collective Muslim umma, rather than individual states..just as Mohammed and his successors intended back in the 6th century. Frankly, if the sort of racist, anti-American and anti-western views embraced by the OIC are now acknowledged by the White House as the official stance of the Muslim world, then we are further apart then even I imagined..and the clash of civilizations is even further in evidence then I thought. Of course, it's one thing to acknowledge this and an entirely different thing to pander to it. Do take the time and check out the non-Council links..they are always rewarding. "I'd rather be with God against man than with man against God..." Joshuapundit - This week's piece is about courage - not the battlefield kind, but the simple heroism of doing the right thing when doing the right thing is difficult and costly and simply following the herd is easy. There's a message here for our times, I think. Mrs. Obama's ‘Proud’ Remark: It's the GOP's Fault The Colossus of Rhodey - Hube ponders the wit and wisdom of Michelle Obama,focusing on her famous remark that only now,with her husband up in the polls is she `proud of her country.' It's fascinating to me that a buppie like Mrs. Obama, the beneficiary of affirmative action and `legacy status'(her brother was a star athlete) at an Ivy League school and in a good career never found any redeeming qualities about her native land until now....but as Hube points out, that's what happens when race is your sole focus. Packer on Iraq Done With Mirrors - This week,Callimachus focuses on an essay by George Packer on the ethos of the Iraq War at home and abroad, and picks apart the same bits I noticed..that Packer is concentrating on the way the war is portrayed by people with a political axe to grind, rather then deciding for himself what the reality is and taking a stand, one way or the other. Unforced Errors The Glittering Eye - Dave Schuler looks at our meddling in Kosovo and finds it completely unjustified, and makes the cogent point that by doing so, we continue to retard any desire by Europe to solve its own problems.I agree with him,and would only add four little words to explain why the US and some members of the EU were so willing to discard international law and embrace such a dangerous precedent - it's about the Saudis. Find the Adjectives Soccer Dad - this week, Soccer Dad shows us how so-called 'news items' are actually op-ed pieces, based on the language used, especially when the topic is Israel and the Palestinians. He does a fine job parsing a fairly egregious example in the WAPO. Obama (with links) & McCain's Petard Wolf Howling - GW has a detailed piece on an interesting kerfluffle concerning a pledge taken by both Obama and John McCain to stay within public finance limits earlier in their campaigns, a pledge both are now repudiating.The difference in the way each candidate is doing it an d the conection between them? Read within..and see if it changes your opinion of the Chosen One. Associated Press, Like Others, Retails Malicious Rumor as "Reporting" Big Lizards - Daffyd's piece this week is akin to Soccer Dad, in that he writes this week about the editorial language used in an article by the AP presented as `news', a follow-up to the slimy hit piece alleging that John McCain had an affair with a lobbyist by the New York Times. In A PC Nation, How Will The GOP Run? Cheat Seeking Missiles - Laer focuses on what the GOP perceives as a problem - running against Barack Hussein Obama or Hillary Clinton without appearing racist or sexist. Frankly, I think that the defensive stance such worries reveal is the real problem and a potential loser in November, and that treating these candidates differently because of race and gender is the real bigotry - but that's just my two cents. OK, maybe five cents. The Pursuit of Happiness Bookworm Room - Ms. Bookworm is back from vacation, and appropriately enough she tackles the idea of the fabled `pursuit of happiness' comparing the idea as expressed in our Declaration of Independence with the same idea as expressed in the California State Constitution. The one states that government will limit its power so as to allow you to pursue happiness on your own and make your own decisions in life, to the extent they are lawful and do not conflict with anyone else's rights; the other mandates happiness as a right. There's a vast gulf between the two, as Ms. Bookworm points out. John Murtha: Porker of the Year! The Education Wonks - EdWonk writes this week about the runaway winner of the Citizens Against Government Waste (CAGW) online poll and the recipient of the 2007 Porker of the Year award for earmarks and special interest earmarks spending for his district -our old friend John Murtha. An Ethics Flap That Isn't Rhymes With Right - Greg likewise writes on the ridiculous attempt to smear Senator McCain by the New York Times.As he points out, there's nothing there...except a classic case of partisan advocacy masquerading as journalism. Still At Risk: The Shocking Ignorance of Our Young Right Wing Nut House - Rick writes about a disturbing study that reveals an abysmal ignorance by American teenagers about their history and culture. That's exactly why I and a lot of other discerning parents chose spend some money to remove their children from the clutches of the public schools, the assorted educrats and the tender mercies of the teacher's unions. This problem won't come close to being solved until there's a realistic school choice program on a Federal level and more parents can afford to do the same. Khamenei Hails Ahmadinejad For "Nuclear Success"
"One of the examples of achievements in last 29 years (since the Islamic revolution) is the nuclear issue," Khamenei told Iran's elite clerical body the Assembly of Experts, in comments broadcast on state television. "Here the Iranian nation has rightfully and justly reached a great success and a remarkable achievement.....the personal role of the president and his resistance in the nuclear case is very clear." "Those people who used to say Iran's nuclear activity must be dismantled are now saying we are ready to accept your advances, on condition that it will not continue indefinitely," he said, adding that this was achieved through "perseverance". This was a little dose of reality for those people who've been insisting that Ahmadinejad was out of step with the regime in some way. And the statement above about the west trying to make a deal to accept current Iranian progress was a sly dig at Germany and some of the Europeans who put a proposition on the table to allow Iran to continue it's nuclear research in exchange for discontinuing any nuclear weapons research. It was also a direct response to documents just presented to the IAEA and UN Security Council showing that Iran has been continuing its quest for nuclear weapons. The mullahs are denouncing them as forgeries. Not that it matters. Iran is pushing ahead regardless. 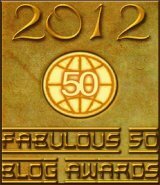 To paraphrasee Ahmadinejad, the UN can issue sanctions for a hundred years and it won't mean squat. On the election, Khamenei described efforts by the "enemy", usually a reference to Washington and its allies, "to divide politicians into extremists and moderates" in a bid to influence the March 14 vote but he said such efforts would fail. "The enemy ... has announced clearly one should increase the pressure on Iran so moderates ... come to power in the election," he said. "The vast majority of people and officials believe in the principles of the system and revolution." 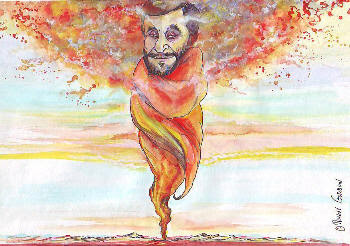 This is a direct bid to strengthen and solidify support behind Ahmadinejad and the hardliners. Speaking of which, the head of Israel's military intelligence, Major General Amos Yadlin appeared before the Knesset Security Committee today and said that in his most generous estimate, Iran should have a nuclear weapon by 2010 - if not before. Will Britain Abandon Its Iraqi Translators? Great Britain claims to have a long tradition of rewarding faithful service to the Crown...but like many other things, that seems to have changed of late, in the days of New Labour. Spokesmen insinuate that extending the guarantee agreed for the 91 full-time interpreters would set a precedent encouraging up to 15,000 Iraqis to demand entry into Britain. Furthermore, they argue, lawyers would claim that Afghans should also have a right to asylum, forcing Britain to admit thousands of impoverished tribesmen. Such talk is as dishonest as it is immoral. This has nothing to do with immigration policy and everything to do with British integrity. That quality seems disgracefully thin, compared to the immediate and unconditional guarantees given to their interpreters by Spain, Italy and Denmark before they withdrew their forces from Iraq. In fact, Britain’s indifference is doubly culpable. For it is not the final pull-out that needs now to be addressed, but the situation today. The troops are still in Iraq and the interpreters are still needed. Some are so frightened that they are forced to remain on base all the time. Nothing is being done to guard their families. In desperation, they have appealed to correspondents to tell the world of their plight. And with weasel-worded insouciance, Army spokesmen maintain either that those threatened want to have their dignity and anonymity respected or that there is no record of those who have recently been murdered ever having worked for the British. Militia leaders in Basra are already boasting their they have “driven out” the enemy; now they are trying to demonstrate their patriotic zeal by punishing “collaborators”, and the more terrifying the cruelty used, the greater their intimidation of a cowed populace. The US military is committed to doing the honourable thing in Iraq; by contrast, Britain looks very much as though it has cut and run, at the expense of Basra and the interpreters. Honour, it seems, was withdrawn together with the troops. Sorry, cousins. Looking at things like this and seeing the craven way the British fleet scuttled away from its responsibilities in the Persian Gulf after Iran kidnapped a few sailors, I couldn't have said it better myself. "This young man is the hope of the entire world that America will change and be made better..This young man is capturing audiences of black and brown and red and yellow. If you look at Barack Obama's audiences and look at the effect of his words, those people are being transformed." "A black man with a white mother became a savior to us...A black man with a white mother could turn out to be one who can lift America from her fall." 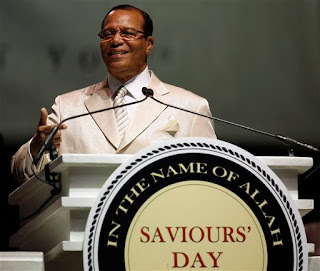 The `savior' Farrakhan is referring to is Fard Mohammed, who founded the Nation of Islam and came up with novel concepts like white people as devils created by Satan and the Spaceship that will lift the members of the NOI off the earth when Allah destroys whitey. These remarks were made during a two hour speech by Farrakhan at the annual Saviours' Day celebration in Chicago. Obama spokesmouth Bill Burton said in response: "Senator Obama has been clear in his objections to Minister Farrakhan's past pronouncements and has not solicited the minister's support." Of course, Obama still belongs to a church whose pastor, a man Obama calls his `spiritual mentor' is an outspoken admirer of Louis Farrakhan and honored him with a major award. Ask yourself...if your church gave an award to say, David Duke, would you still be a member and call the leader of that church your spiritul mentor? In the face of that, a few polite `objections' look pretty pale in comparison. And of course, there's also the fact that one is known by one's friends as well as one's enemies. If Louis Farrakhan, Al Sharpton and a number of officials with CAIR are lauding Obama, doesn't that say something about whom he is, all protestations to the contrary? Iran today confirmed that it was running a new generation of centrifuges capable of enriching uranium at more than double the rate of the old machines. This is the first official confirmation by Iran that they were now using the new IR-2centrifuges. "We are (now) running a new generation of centrifuges," the official IRNA news agency quoted Javad Vaidi, deputy of Iran's Supreme National Security Council, as saying. Iran is facing a third round of sanctions from the UN Security Council, and supposedly the five permanent members of the U.N. Security Council and Germany have agreed on a draft resolution for that third set of sanctions that will probably be as effective as the first two were...which is to say not very much. Nevertheless, Iran has threatened that they will retaliate if another round of sanctions is approved. "Some Western countries want to follow the wrong path and we suggest they take heed from their past experiences," Javad Vaeedi was quoted as saying by the state-run IRNA. "Choosing the wrong path and adopting a new resolution will have a cost for those countries," he added. President Mahmoud Ahmadinejad on Saturday warned of "firm reprisals" against any country leading the way to impose new sanctions, adding that Iran was "not joking." "They could spend 100 years passing resolutions but it will not change anything," he said in an interview with state television. Someone else who's likely correct is Mohammad Mohadessin, a leader of the exiled National Council of Resistance of Iran. Speaking to reporters in Brussels, he said that there is absolutely no doubt that Iran is actively pursuing nuclear weapons. He's the leader of one of the dissident groups who busted Iran's clandestine nukes program over four years ago. And as we know, the Iranian dissident groups information has consistently been a lot more accurate than the CIA's...and let's not even mention Inspector Clouseau Mohammed El-Baradi and the IAEA. Mohadessin told the reporters that he had direct intel collected on two sites in Iran on top secret nuclear warheads. The first site at Khojir, in a Tehran suburb, is an Iranian defence ministry missile-research site which is developing a nuclear warhead for medium-range missiles, he said. The other facility, in another Tehran suburb, was described as the "command and control centre" for production of a nuclear bomb. Mohadessin said the revelations had been handed over to the International Atomic Energy Agency in Vienna on Tuesday. North Korean experts are cooperating with the Iranian regime in the project, the Paris-based group said. "The clerical regime (in Iran) has not ceased its nuclear weapons programme, rather it has expedited its activities and the Islamic Revolutionary Guard Corps has taken greater control of the programme," said Mohadessin, chairman of the group's foreign affairs committee..
Mohadessin said Tuesday that for a while Iran had slowed down its weapons programme. It had erased all traces of its earlier research centre in 2003 and moved over to Mojdeh, next to the Malek Ashtar university under the name "Field for Expansion of Deployment of Advanced Technologies," he said, his comments accompanied by satellite photographs to back up the claims. Another site that the dissidents busted some time ago is one that Johsua's Army members have been aware of for a long time, constructed by the Mullahs at Neyshabour. This is a top secret base designed as a mirror of the Iranian nuclear facility at Natanz,except this one is underground and protected 24-7 by the Pasdaran (AKA the Republican Guard)...and also unlike Natanz, the IAEA has never been inside. President Bush is aware of all this, I'm sure.Four and a half years after becoming aware of this particular rattler baring its fangs, we're still playing games with meaningless sanctions. The Iranians have made no secret of the fact that they're at war with The Grest Satan. We continue to ignore this and pretend that it doesn't exist to our ultimate peril. 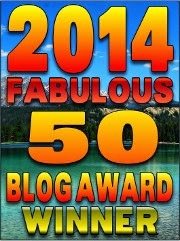 The milbloggers had a great time debunking this horse manure. Well, captains command companies, not rifle platoons. A rifle platoon is normally commanded by a 2nd lieutenant, sometimes (if short handed) by a senior sergeant. So for starters, Obama betrays a woeful ignorance of military organization and the chain of command. Then he remarks that the platoon was under-strength because 15 of its men had been "sent to Iraq." Sorry, the Army doesn't work that way. Platoons are organic units, consisting of three rifle squads, a heavy weapons squad, and a headquarters section. You can't break it up. It is the smallest building block in the infantry that can conduct fire-and-movement tactics. So, no matter what, if the Army needed to shift men from Afghanistan to Iraq, it would have done so either by detaching the whole platoon, or, more likely, an entire company from its parent battalion, because a company is an administrative as well as a tactical unit, and believe me, the Army would sooner fight with one hand tied behind its back than create administrative hassles for itself. Maybe the captain was commanding something other than a rifle platoon--perhaps a company headquarters unit, or an intelligence or communications unit, or some other small specialist unit, but in that case, the loss of troops is not nearly as critical as Obama's story implies. "High-Demand/Low-Density" specialists are always being moved around because there just aren't enough of them to go around. Period. It's a chronic problem not just in the military, but in civilian life as well. The idea that our guys were scrounging weapons and ammo because they were short is ludicrous. How much ammo you carry is done on a "per man" basis in the infantry--each solder carries a "basic load," which is backed up by reserve supplies at company, battalion, and above. It is possible to run out of ammunition, temporarily, in the midst of an intense firefight... Weapons like the M4 Carbine, the M16A3 rifle, and especially the M249 Squad Automatic Weapon (SAW) can burn through ammo like fire through dry tinder. Since each man carries perhaps 200 rounds into a firefight (about six or seven magazines), he can easily expend it all in a matter of minutes (which is the reason the Army teaches fire discipline). To the best of my knowledge, no U.S. forces in either Afghanistan or Iraq ever ran out of ammunition for more than a few hours at most. When you consider that we were operating in Afghanistan at the tenuous end of a 8,000 mile supply line, that's pretty impressive. Just So I Understand This... But Afghanistan is apparently awash in NATO 5.56mm ammunition, which can be used to load NATO guns, if only it can be taken (via fisticuffs, I imagine) from the local Afghan warlords and Taliban fighters? Really? NATO 5.56mm, huh? In a third world country? A third world country with tons of AK-47s and AK-74s because it is 1) a third world country and 2) a former conquest off the Soviet Union? But they're, like, completely stocked with NATO 5.56mm rounds over there, huh? As with all of the other nonsense he's been caught in, Senator Obama has his usual 'explanation'. According to Obama spokesmouth David Axelrod,Obama didn't actually speak to the anonymous captain,but "That was a discussion that a captain in the military had with our staff, and he asked that that be passed along to Senator Obama." Obama should stick to vague promises of `hope and change'..every time he actually tries to put some substance behind the mindless platitudes,the mask slips. People get the kind of government they deserve. If we elect this charlatan, we'll deserve what we get. Mickey Mouse turns grey as Japan runs out of children for its theme parks - From the London Times...as Japan's birth rate has continued to decline, Tokyo Disneyland is finally yielding to the realities of modern Japan: Mickey Mouse has decided to chase the “silver yen”. Caroline Glick:Kosovo's stark warning - Valuable background and analysis on the folly of Kosovo and how it's a dangerous precendent,not only for Israel but for the US from the Jerusalem Post's ace columnist. For an even more explicit view of the subject,read Why Belgium Loves Kosovo. And the Consequences for Southern Californiaby Thomas Landen in today's Brussels Journal. When Jihad Came To America - Andrew McCarthy in Commentary has a superb article on how the Clinton Administration allowed Egypt’s leading radical, Omar Abdel Rahman the so-called 'Blind Sheik'to settle in America, how he was able to stay an dgranted permanent residency because of America's Byzantine immigration laws and lapses in security and how he was instrumental in radicalizing and expanding what Mccarthy refers to as `the nascent but already functioning jihadist community' in the US. A must read. This week's winner was Make Washington's Birthday a National Holiday Again by Right Wing Nut House, Rick Moran's fine piece lobbying for a separate day to honor the Father of our Republic. In second place was Iraqi Political Progress Leaves Few Places For The Left To Move The Target by Wolf Howling, an authoritative piece by GW on Iraq's political progress and its effect on the political posturing of the American Left. In the non-Council category the winner was my nominee, The Dungeon of Fallujah by Michael J. Totten. I recommend it as a primer on exactly what we're fighting. In second place was How Rachel Corrie Really Died (Hint: Not Protecting a House) at Israel Matzav, in which blogpal Carl in Jerusalem reveals some unreleased footage showing that the Left's favorite Palestinian groupie died guarding an arms smuggling tunnel in front of the house in question and out of the line of vision of the bulldozer. "I'd Rather Be With God Against Man Than With Man Against God.."
I'd rather be with God against man than with man against God.."
The miracle of courage is an amazing thing when it happens on the battlefield..but some times it is even more pronounced when it amounts to doing the right thing when doing the right thing is difficult and costly and simply following the herd is easy. Arisitades De Sousa Mendes was the Portuguese consul general in Bordeaux, France, when the Nazis invaded in 1940.By then, few people had any illusions left about Hitler's plans for the Jews unless they simply preferred not to know. Thousands of refugees fled to the south of France in the wake of the Nazi invasion, desperate for a haven. For most of them, particularly Jews, the only possible escape was to make it to the Portuguese port of Lisbon or one of the Spanish ports, which meant getting a Portuguese transit visa to leave France and enter Spain. 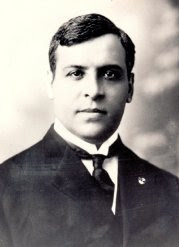 De Sousa Mendes was specifically instructed by his government not to issue any transit visas, especially to Jews. Instead, De Sousa Mendes defied his own government's instructions and he and a handful of his staff worked around the clock to issue visas to an estimated 10,000 Jews and 20,000 other people fleeing the Nazis. It was an unseemly sight as people of all ages, including pregnant women and sick persons, waited in line to have their passports stamped with the Portuguese visa. The reaction of the Portuguese government was not long in waiting. Two emissaries were dispatched to accompany home the insubordinate diplomat. On their way to the Spanish border, the entourage stopped at the Portuguese consulate in Bayonne. Here too, Mendes, still the official representative of his country for this region, issued visas to fleeing Jewish refugees, again in violation of instructions from Lisbon. He saved these people's lives. For this heroic act, Aristades De Sousa Mendes was recalled to Lisbon, fired from Portugal's diplomatic service, dishonored and denied a pension by Portugal's dictator Antonio Salazar. He was forced to sell his family estate in Cabanas de Viriato to support his family and spent the rest of his life in poverty and obscurity, dying in 1954. In 1988 Portugal's parliament voted unanimously to make amends and approved a bill that posthumously reinstated him as a diplomat, promoted him to the rank of ambassador and paid compensation to his surviving relatives, who used the money to repurchase the family home. On February 20th of this year, Portuguese Parliament Speaker Jaime Gama presided over a special ceremony celebrating the official launch of a website honoring the life and work of Aristides de Sousa Mendes. 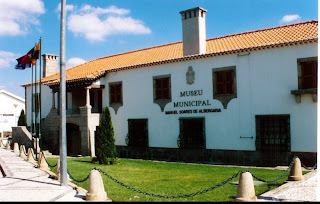 It is part of a museum containing a database of photographs, videos and historic documents. The website's only in Portuguese at this time but will eventually be translated into several languages, and is co-sponsored by the Portuguese government as well as by foreign and national universities and institutions, including the German Foreign Ministry and several Jewish groups. Aristades De Souza Mendes became a hero when he was put in circumstances where he simply made the choice to do the right thing, no matter what it cost him. At a time when there is virtual silence by the UN in the face of genocidal threats of a second Holocaust by one of its members, at a time when the carnage of Darfur continues unabated. his example is a welcome one for these troubled times.Some of us may very well be faced with a similar choice in the not too distant future. Obrigado, o Senor De Sousa Mendes. E pode Deus abençoe a sua memória. Bush Busts A Move And Drums In Africa!!! First the Arab sword dance and now this! Our president gets loose and unleashes his groove thang...a must see. OK, seriously, President Bush has been well received in Africa for a very simple reason -he's done more to help the countries there combat scourges like AIDS,hunger and malaria than any other US president in history, and even people who are involved with this issue and are generally critical of the Bush Administration like Bono and Bob Geldorf agree with that assessment. Credit where credit is due...not that he or his party has ever gotten much from some black Americans at election time.Too many of them still prefer to think of Mr. Bill as the First Black President. G-d only knows why. Apparently the Serbs are not at all pleased at the Bush Administration's embrace of a Muslim enclave in Kosovo. Serb Police drove drove armored jeeps into the streets and fired tear gas to clear the protesters. US State Department spokesmouth Sean McCormack strongly urged the Serbian government to protect the U.S. Embassy. He said the U.S. ambassador was at his home and was in contact with U.S. officials. I written here before on Kosovo and the appeasement of the Saudis that's behind the embrace by the US, UK and some of the west European EU members of a third Muslim enclave in southern Europe in defiance of the UN's own resolutions, international law and plain common sense. Perhaps I should speak of the Serbs the way certain abject dhimmis speak of the proponents of the Religion of Peace when they engage in this sort of behavior over some inocuous cartoons,uppity women, a beauty contest or the mere presence of the shrine or structure of another religion ...I condemn the violence, but you have to understand their rage. Today's Day By Day - Obama Mit Uns! Now that Senator John McCain is the Republican front runner and almost certainly the nominee, all bets are off and it's open season for the jackals of the dinosaur media. Today,the New York Times published a scurrilous hit piece masquerading as journalism implying that Senator McCain had an illicit extra-marital affair with a female lobbyist representing telecom interests, and that he was 'influenced'. It also says that two unnamed former associates confronted the Senator about it and that he admitted behaving 'inappropriately' and promised to keep away from the lobbyist. The entire story really is the alleged affair, with some flashbacks to the Keating Five scandal that McCain was peripherally involved in and some snide comments about McCain-Feingold and campaign finance reform to attempt to give this sleazy hit piece some weight. What's striking about this is two things. First of all, there is absolutely no hard evidence whatsoever in the story. No one is quoted on the record, not even the two disgruntled former aides who one would think have nothing to lose. Except of course they do if they are actually named, given the way the current libel laws are structured. And so does the Times. And there's is not even a legislative pattern that suggests that the alleged affair Senator McCain is supposed to have had influenced his votes. The reverse in fact - apparently the Senator voted 13 times against the interests of this particular lobbyist's clients! The second point of interest is the way the New York Times sat on this story, which apparently has been ready to go to press since December of 2007. They obviously wanted to make sure that McCain was a sure nominee before releasing this garbage, and in fact they probably would have held it even longer - maybe until after the GOP convention or even as an October Surprise - if it weren't for the fact that another leftard bastion of the dinosaur media, The New Republic was working along the same lines and was planning to scoop them by releasing this tawdry trash first. For what it's worth the McCain campaign has published a factual rebuttal to the allegations in the Times story, but that's hardly the point. Senator McCain has hopefully learned a major lesson here today. The jackals of the dinosaur media are not his friends and never were, no matter how much they might have fawned on him when it suited their political agendas. In fact, they're incapable of qualities like loyalty, fairness and integrity, journalistic or otherwise. It is simply not in them. And this will hardly be the last time something like this happens.Look for more of it as time goes on. Today, it's the blogosphere, conservative politicians, talk radio and the new media that has Senator McCain's back during this blatantly unfair hit job. I hope he notices. He would do well to take this opportunity to embrace them and learn where his real friends are. I certainly hope he takes the opportunity. The Clintons: `We Have A Dream!" 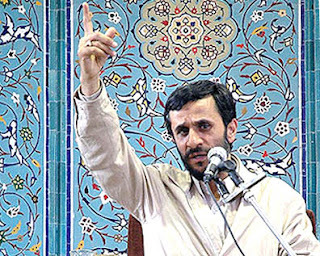 Ahmadinejad: "Israel Is A Filthy Bacteria"
Iranian president Mahmoud Ahmadinejad today called Israel a a `filthy bacteria' the latest in a number of genocidal statements from the Iranian regime on the subject. "The world powers established this filthy bacteria, the Zionist regime, which is lashing out at the nations in the region like a wild beast," the Iranian president said today in a speech in southern Iran. This closely follows remarks by Iran's Revolutionary Guards Corps commander Muhammad Ali Jafari, calling Israel `a cancerous growth that will soon disappear' and a letter by the Chief of Staff of the Armed Forces of Iran, Maj.-Gen. Hassan Firouzabadi to Hezbollah's Shiek Nasrallah that the war against Israel would continue "until the complete destruction of the Zionist regime and liberation of the entire Islamic land of Palestine." This kind of genocidal rhetoric is hardly new for the Iranians, but the frequency and audacity has ramped up since the American NIE on Iran, which signalled to the mullahs that they likely need not fear an American attack. I would also point out that these kind of threats were SOP for the Nazis before WWII and the Holocaust.An important part of running a successful genocide is dehumanizing your prospective victims. After all, don't we eradicate harmful bacteria? Although genocidal threats like this are strictly forbidden between member nations by the UN Charter and by the Geneva Convention both countries signed, it is a sign of how little the UN matters these days that Israel is not even bothering to waste time asking for the UN Security Council to condemn or sanction Iran for these violations. Instead,they've merely written a letter of protest to Security Council President Ricardo Alberto Arias, calling for the international community to condemn "these outrageous anti-Israel, anti-Semitic and racist threats, which undoubtedly constitute direct and public incitement to commit genocide." I wouldn't even have wasted the time and energy to write such a letter. As for the Israelis, they had better figure out very soon exactly how they're going to handle this. The time grows short. Muslims and the Right Not To Be Offended Joshuapundit -This week, I look at this weeks' riots in Denmark as yet another example of seething Muslim rage and violence and draw the conclusion that one could sum up what seems to offend the majority of Muslims quite nicely as simply the inherant nature of living in a secular democracy where ideas - and let's be honest about it, whole groups of people - are free to believe or to live in ways that Islam's supremist ideology finds dangerous. What we're really talking about of course, is whether there is a right not to be offended and what one has the right to do about it.....and I suggest that a constant violent reaction to non-violent free expression may lead to unintended consequences. WWRD? Rhymes With Right - In this case, the initials stand for 'What would Reagan Do?' and Greg asks the question looking at the imminent nomination of John McCain, and gives us Michael Reagan's opinion on his father's probable course. I agree with him. Re-Wiring the Problem Done With Mirrors - Callimachus takes a look at the problem of so-called 'honor killings' and the politically correct attempts to re-frame them as a problem of male misogyny rather than a problem inherent in Islam...which course it in fact is. I'm reminded of the old story of a British colonel in India who protested against the old Hindu custom of suttee, (the burning alive of a widow on her husband's funeral pyre) and was told it was the custom and could not be changed. "Well in my country", he replied "our custom is to hang men who murder women. You may keep to your custom,and we shall keep to ours." Le Figaro on the Upcoming American Presidential Election The Glittering Eye - Dave Schuler gives us a view of our current election campaign through European eyes. Iraqi Political Progress Leaves Few Places For The Left To Move The Target Wolf Howling - GW has a nice piece that points out the essential dilemma for the Democrats and their cohorts in the Angry Left - there's enough progress going on in the 'quagmire' so as to make it almost a non-issue unless they're preaching to a very select group of the leftist Faithful. The solution they've adopted,of course, is to barely mention it and hope we all forget about the appalling things they've said and done over the past couple of years. When a Man Stops Believing in God... Big Lizards - Daffyd parses the astounding remarks of the Archbishop of Canterbury on sharia law in Britain with his usual level of detail. Why You Should Roll Your Eyes and Laugh at Democrats Who "Want Every Vote Counted" The Colossus of Rhodey - Hube looks at the insider superdelegate process within the Democratic party and points out the hypocrisy of some Democrats in whining about disenfranchising voters. Actually, Hube, when one looks at the antics in Chicago, Philadelphia and other Democrat strongholds one can only conclude that the Democrats really do want every vote counted...as long as it's for them,in which case you can even count them two or three times,as long as the 'right people' win! On The Mountaintop With Obama Cheat Seeking Missiles - Laer looks at the phenomenon of Obama-mania and shows us,once again, that Leftism is a religion rather than an exercise in the war of ideas. Ann Coulter wrote an entire book on the subject, for those with an interest. Dumb Question Bookworm Room - Ms Bookworm got a look at what she perceived as a piece of anti-American propaganda, Julie Tamor's film Across The Universe that takes place during the Vietnam era (with, as she notes, more than a nudge/wink towards the Iraq War) and portrays the US as viciously imperialist, its military as souless killers and anti-War protesters, a number of whom could quite credibly been prosecuted for treason as heroes positively dripping with nobility. She asks the not at all dumb question: when it became so fashionable in certain circles to hate one's own country? Personally, I think the rot started in the 1930's and 1940's with the subversion coming from the penetration of Soviet spies and sympathizers into various areas of American life, cascaded in the 1960's as their children, the 'red diaper babies' came of age, and now is alive and well in academia, some areas of gevernment and the media, where the`60's radicals retreated to after Vietnam. From these safe havens,they passed the virus on to their children and to other people's children they were able to indoctrinate. For insights on how this process worked, I recommend David Horowitz's Radical Son and Mona Charen's Useful Idiots, among other decent books on the subject. The Disastrous D.C. School System The Education Wonks - EdWonks looks at the appalling education situation in our nation's capitol.Two words: school choice. Make Washington's Birthday a National Holiday Again Right Wing Nut House -Rick likes the idea of the Father of Our Country once again receiving the honor of his own special day. I agree with him. FF: Now it's time to swing once again through the rancid political jungle with JoshuaPundit's own political guru, my pal Weekend Monkey. FF: Well, Monkey, there have certainly been some interesting developments since the last time we spoke..
FF: You picked McCain to win the GOP nomination two weeks ago, but did you expect McCain to have the show to himself by now? WM: Honestly, after Florida I guess Romney figured he'd spent enough.I pretty much called it as far as what was going to go down with him on Super Dooper Tuesday. He never had a chance. Neither did Huckabuck, but hey - what else has he got to do? probably get a book deal or a radio show out of it or something. WM: I gotta admit, I underestimated Obama Yo'Mama's results on Sooper Dooper Tuesday a little but keep this in mind...a lot of the states he won were Red Rethug states like Idaho,Alaska, Nebraska and Utah. I don't see how you translate that into results in the general in November. Plus, I was right about Shrillary winning the Hispanic votes in California, New Jersey and New York. FF:Very True...So, let's have some numbers,Monkey. WM: Ok,Ok Mr. Impatient! I'm calling Wisconsin for Obama Yo' Mama but only by two points or so. If some sucker is dumb enough to offer you Hillary plus five, take it because you'll win your shekels on the spread.This is stringing it out a little but as of now I think Texas and Ohio will go for Shrillary by decent margins. So will Pennsylvania. Obama will take Rhode Island, Missippi, Oregon and probably Kentucky, South Dakota and Montana. Puerto Rico and Indiana will probably go Shrillary, although if Obama Yo' Mama manages an upset in Texas or Ohio things will change drastically...but I don't expect that. FF: So what's the bottom line, Monkey? WM: My Democrats go to the convention and have a real dogfight..wheee!The poop is gonna fly! WM : Well,neither Shrillary or Obama Yo' Mama is likely to make it to the convention with enough delegates in their pocket to outright take over, so they'll be trying to steal from each other..
FF: Y'know what I think, Monkey? I thinK we're headed for a Hillary-Obama ticket if that happens.As a matter of fact, I think we're headed there anyway. FF: Here's how I see it playing out, Monkey. If Obama's absolutely stuck and simply can't make the nomination fly on his own, I think Lady Macbeth will sit down with Obama and Mr. Bill in a room and make a kind of co-presidency deal. For one thing,she wants it worse than he does and this is her last shot. Obama has time,he's only 47 and this way it's a step up for him and a chance to be in the national spotlight and take over as heir to the throne in 8 years. Even if she manages to get Michigan and Florida seated ( and I think she will) she still needs to make peace with Obama to get the black vote. WM: I think they hate each other too much,but we'll see. So you see Shrillary taking it,hmmm? FF: Yeah..I'm going by Weekend Monkey's Rules. She wants it more, so she has the advantage over Obama. WM: Finally,you listen to my wisdom FF.It's like I use to tell you back in the old music biz days, just because it looks like a banana doesn't mean you can eat it. FF: Uh, yeah Monkey...by the way, Mr. Wisdom, how much money did you have to end up repaying back to Capitol to keep them from prosecuting? That was one leveraged expense account! WM: !##$@! You may think you're some kinda Big Banana serious political commentator now,but how'd you like your fans to find out about the orgies you used to have over at the Tropicana or at that opium den of yours in Laurel Canyon? Caligula woulda been embarrassed to attend some of those shindigs! FF: Ah, dear dead days...I still have some of the pictures and videos, Monkey.Some with you in them.Remember Halloween and the `shrooms girls? WM: #!!#@! You told me you burned all that stuff! FF: Well, much of it. Hey, at least it didn't surface during the campaign, right? WM: I suppose...I can't believe you still have that stuff. Whooo! FF: Yes, well. As far as Campaign `08 goes, I guess we'll see if you get your wish for a knock down drag out catfight between Michelle Obama and Hllary..should be must see entertainment! UPDATE: Obama won Wisconsin by more than the point spread...here's hoping Monkey didn't have too much money on it! The ACLU suffered a rather large defeat in their efforts to undermine America's security today when the Supreme Court declined to hear an appeal of a decision by a lower court dismissing an ACLU suit against the NSA over the US warrantless wiretapping program designed to intercept communications between suspected terrorists. The has a major bearing on a little matter I've discussed here with you before,the Al-Haramain case. The other major thread, of course, is immunity for telecom companies who've cooperated with the government. That case is still being decided in San Francisco as I write, and will doubtless end up in the Supreme Court as well. The ailing dictator,81 finally decided to retire in favor of his brother Raul after being Presidente' For life for forty odd years. “Very selfless and moral. One of the world’s wisest men.” –Oliver Stone. “Castro is at the same time the island, the men, the cattle, and the earth. He is the whole island.” –Jean Paul-Sartre. “A dream come true!” –Naomi Campbell. “If you believe in freedom, if you believe in justice, if you believe in democracy, you have no choice but to support Fidel Castro!” –Harry Belafonte. “Fidel, I love you. We both have beards. We both have power and want to use it for good purposes.” –Francis Ford Coppola. “The first and greatest hero to appear in the world since the Second World War.” –Norman Mailer. “Socialism works. I think Cuba might prove that.” –Chevy Chase. 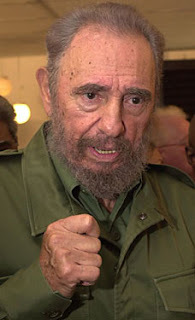 “Castro is an extraordinary man. He is warm and understanding and seems extremely humane.” –Gina Lollobrigida. Interesting that none of these cretins chose to actually reside in Fidel's Paradisio. It's such a pleasant place that over 20% of the population risked their lives in small boats over the open sea in shark infested waters to get away from it. At this point, a country that used to export food is a major food importer that needs heavy rationing to survive, the number of hospitals and clinics has shrunk since Batiste from 334 to about 200, and civil liberties are non-existant. And as for the amenities, I wonder if any of these people ever got the chance to visit Fidel's gulag on the Isle of Pines, with the gallows, the torture chambers,the forced labor camps and the shark pens reserved for Fidel's `enemies of the state'? Or were they too busy having the vapors about Gitmo and waterboarding? Now here's a poser...many if not all of these people would easily say that one of the reasons they feel the US is despised around the world is that 'we torture.' So, what's their explanation for the esteem they have for the Castro regime in Cuba? It's the same sort of morally disgusting love affair the Left had with Stalin. As for El Jefe, he probably won't be around too much longer and will probably not face any earthly justice...but I wouldn't want to be him on the other side of this life.